Trust for Democratic Education and Accountability (TDEA) under its Community Leadership Development Program trained approximately 400 Local Body Representatives (LBR) in districts of KP and Sindh. The trained LBR including men and women elected on General seats and seats reserved for Women, labour, peasant and minority councilors. The shortlisted Councilors (50 from each project district) were engaged in various activities like quarterly and monthly meetings, engagements with elected representatives and public officials and interactions with organizations working on GBV issues. In this regard TDEA planned a visit to Aurat Foundation Karachi. The elected representatives (LBR) who have sound knowledge of their role and responsibilities as a member of Council were included in this activity. The purpose of the visit was to orient the trained LBRs and learn through AF’s hands-on experience to deal with GBV issues and its prevention. 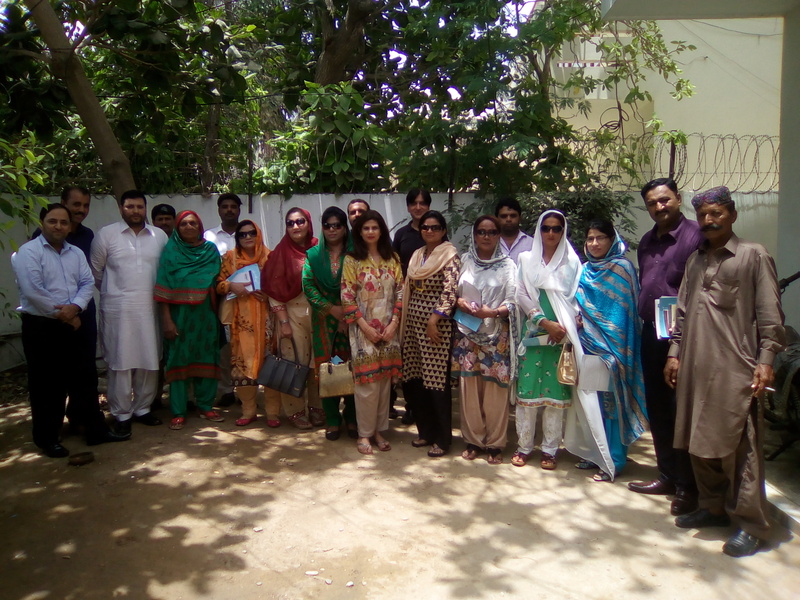 The exposure visit was attended 16 local councilors from Hyderabad, Jamshoro and Mitiari. Mr Nauman Hafeez, Project Manager, TDEA-FAFEN, introduced the participants. Ms Mahnaz Rahman, Resident Director, AF Karachi, gave the history of women’s movement and overview of AF’s long standing contribution towards women empowerment in the society. AF’s ongoing projects related to HBWs – UNWomen, strengthening of local councilors – Oxfam GB and strengthening legislative assemblies –Subai EU were also shared in terms of linkage development with the local councilors. 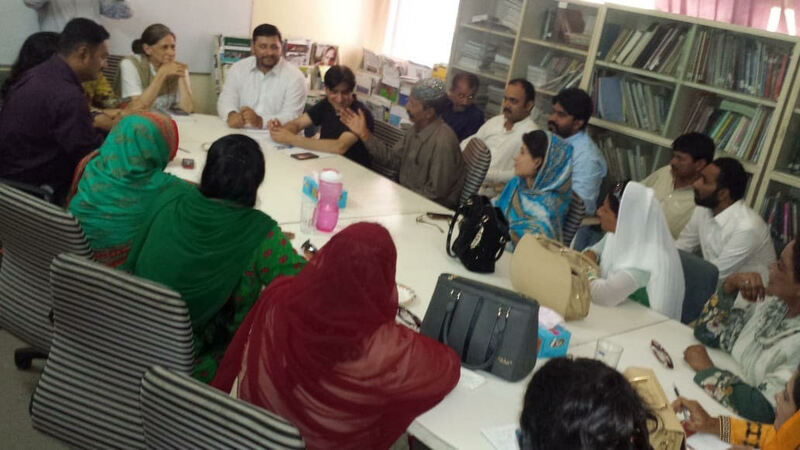 The local councilors showed great interest in continuing the meaningful engagements with AF. The strategy for combatting GBV under GEP was also explained at length to the councilors. GBV prevention mechanisms set by various human right organizations to control GBV issues in those districts were also discussed. AF shared their referral / contact details for facilitating the GBV cases being dealt with the local councilors in the respective districts.